Mike has been umpiring for around 30 years, mostly around the St. Louis area. He is a member of the Greater St. Louis Association of Umpires where he umpired high school and collegiate baseball and softball, serving schools all around the St. Louis area. As a member of the GSLAU he received their highest award, the Ray Perez Award for Umpiring Excellence in 1999. Mike has worked countless district championship, sectionals, and state quarterfinals in both baseball and softball, and he umpired the 2008 MSHSAA state baseball final four in 2008. At the college level, he has worked for several small colleges and the junior colleges in the area, and was honored to work the NJCAA Super Regional championship baseball game in 2012 at Jefferson College. Mike lives in Eureka with his family and is the Teaching Pastor at Genesis Church here in town. Mike is a resident of Eureka and a lifelong baseball enthusiast. Beginning in 1974 he has umpired all levels of baseball and softball in Ellisville, Ballwin, Fulton, Kansas City, St. Joseph, and St. Charles. In Kansas City he was one of a select few asked to do men’s overhand softball which included several former major league players. Mike is the STEM and technology coordinator at Cardinal Ritter College Prep and has been a history teacher since 1989. St. Louis University, UMSL and SEMO have used him for the final student teaching certification requirement. He has been honored by the Missouri Scholar’s Academy and is a 5 time Who’s Who of American Educators nominee. Besides teaching, Mike coached cross country, taking teams to the state finals 6 times including a championship for which the NFHS named him Missouri’s coach of the year. 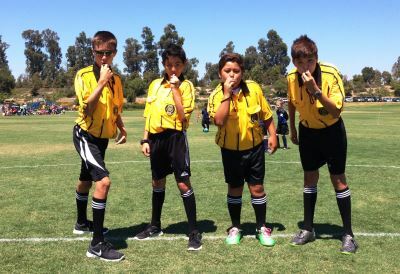 In order to be a West County Soccer Referee and referee games for ESA, you must be at least 13 years of age and successfully complete the training classes, field training and pass the test. Attendance at all classes during the week of training is required. If you are interested in Refereeing for ESA in 2018 please complete the application. ATTENDANCE IS REQUIRED FOR ALL CLASSES UNLESS APPROVED> BY CHIEF OF REFEREES. RETURNING REFEREES AND USSF REFEREES. All umpires, regardless of experience, will be required to attend training and pass a final examination. Years of experience will determine the number of training sessions required. Umpires must reapply on a yearly basis and be 13 years of age by the opening day of each season. Games assigned and pay are based on years of experience. All games (Baseball, Softball) are scheduled via an online scheduling system. 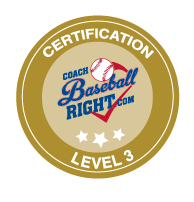 All umpires and Referees must have an email address and access to the internet. Field Crew workers must have transportation to the ball fields and the ability to work immediately after school from mid April to the end of the school year. If you participate in a High School sport that practices after school in the spring, you probably will not be able to work field crew. Assignr.com - Web-based umpire scheduling used by ESA. All ESA umpires will be given access after completion of Training. 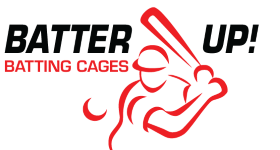 Returning College Students - We understand that you can not attend training; however you will be required to pass the Umpire test prior to being assigned games.